Authorize.net indicated they are updating the IP addresses for their credit card authorization as per the tech-note on their web site. Since Authorize.net is NOT changing any of the authorization URL's (according to the tech note), this change does not affect any settings inside Theatre Manager in any way. However you will need contact your IT staff to update your firewall to the new IP addresses specified in the tech note if your IT staff have programmed your firewalls to restrict outgoing access to Authorize.net's old IP addresses..
New IP addresses are available now for testing and use. 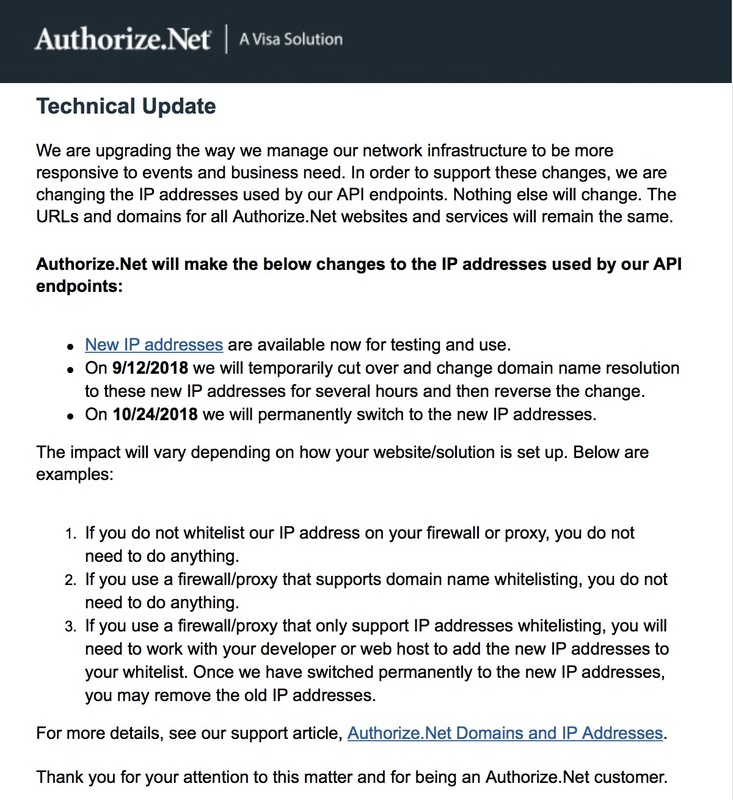 On Sept 12 2018, Authorize.net will temporarily cut over and change domain name resolution to these new IP addresses for several hours and then reverse the change. On Oct 24 2018 Authorize.net will permanently switch to the new IP addresses.